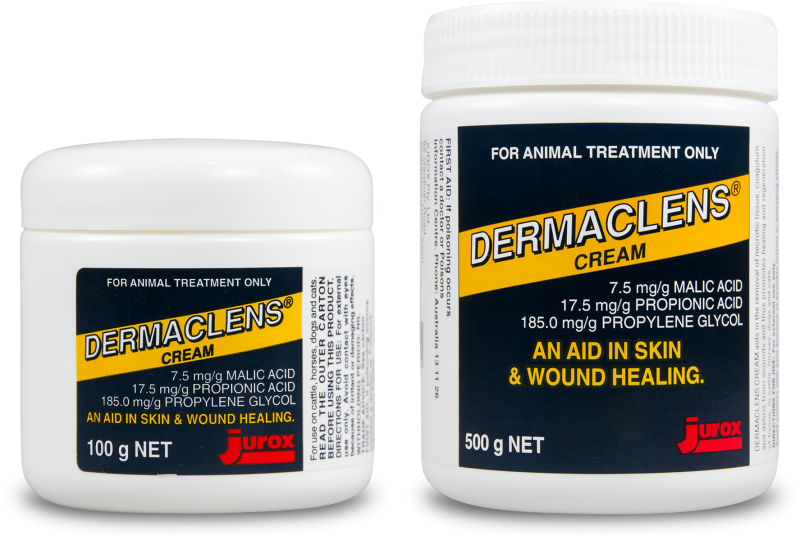 Dermaclens Cream is for the removal of necrotic tissue, coagulum and debris for wounds. Promotes healing and regeneration of tissue in cattle, horses, dogs and cats. Treatment of chapped teats, udder lesions and black spot in dairy cows and wounds in all species.